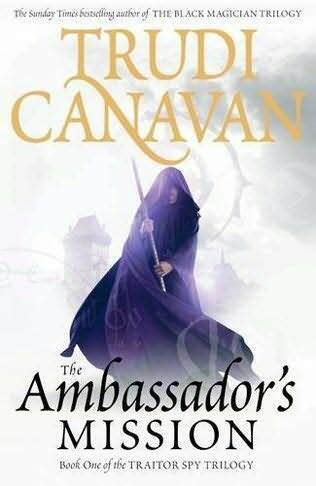 The Ambassador's Mission by Trudi Canavan - First book in a new series by Trudi Canavan? I'm so there. Florences and Giles by John Harding - I saw this on somebody else's Library Loot post and thought it looks and sounded great. So when I saw it on my library's New This Week shelf, I snatched it off quickly! Amazon says: A sinister Gothic tale in the tradition of The Woman in Black and The Fall of the House of Usher 1891. 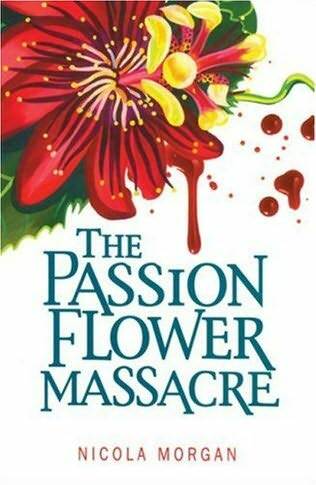 In a remote and crumbling New England mansion, 12-year-old orphan Florence is neglected by her guardian uncle and banned from reading. Left to her own devices she devours books in secret and talks to herself - and narrates this, her story - in a unique language of her own invention. By night, she sleepwalks the corridors like one of the old house's many ghosts and is troubled by a recurrent dream in which a mysterious woman appears to threaten her younger brother Giles. Sometimes Florence doesn't sleepwalk at all, but simply pretends to so she can roam at will and search the house for clues to her own baffling past. After the sudden violent death of the children's first governess, a second teacher, Miss Taylor, arrives, and immediately strange phenomena begin to occur. Florence becomes convinced that the new governess is a vengeful and malevolent spirit who means to do Giles harm. Against this powerful supernatural enemy, and without any adult to whom she can turn for help, Florence must use all her intelligence and ingenuity to both protect her little brother and preserve her private world. 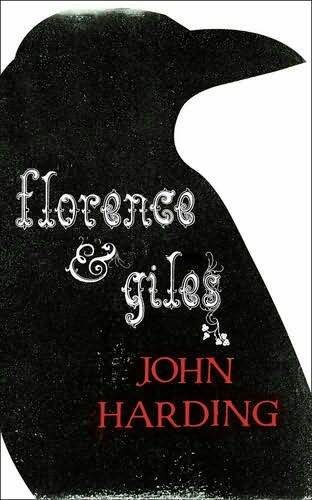 Inspired by and in the tradition of Henry James' s The Turn of the Screw, Florence & Giles is a gripping gothic page-turner told in a startlingly different and wonderfully captivating narrative voice. 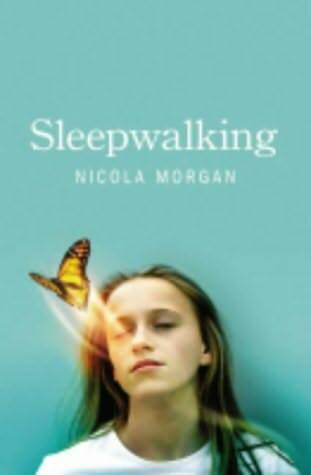 Sleepwalking by Nicola Morgan - I was really looking for Nicola Morgan's latest book, Wasted, but found this and the following book instead! Amazon says: The Citizens of this future world drift contentedly, their every emotion regulated. There is no pain, no suffering, no evil. And no freedom. Just safety and drug-induced happiness. But a small group, known as the Outsiders, crave real emotion, real freedom, even suffering. To them, the power of ideas and language cannot die - it is essential to being human. And they have a plan to change society. For years, a group of 'special' young people have been raised to have the strength and knowledge to overthrow the system. Now, when a deadly virus strikes, four of these teenagers, Livia, Cassandra, Marcus and Tavius must act quickly to infiltrate the sinister headquarters of the Governators and corrupt the system. But their plan carries enormous risk. Can they discover the chilling secret behind this saccharine dystopia? Are they really only ‘handfuls of dust and splinters of bone’? Amazon says: Eighteen-year-old Matilda is looking forward to the freedom her summer away from home this year will offer. Freedom from her oppressive parents, freedom from the guilt and anger she feels over her brother's death some years ago. When she arrives at the fruit farm deep in the idyllic Devon countryside, the super-nice people, and Matt, the gorgeous guy she's already bonded with, make it all seem too good to be true. And soon the people who run the farm, the 'lilies' as Matt calls them, are pulling the vulnerable Matilda closer into their group, singling her out for special attention, feeding her delicious cake and tea, seducing her with their loving concern. These people seem to understand her, she can tell them anything and she feels part of something at last. So when they want her to join them in the big house they all live in on the hill, and meet their leader, Peter, she is ready and willing. She doesn't realise that she is dangerously involved in a religious cult, and that she is being brainwashed and drugged in preparation for a mass suicide, planned by the pathologically driven Peter. He's going to burn all of them alive, because he believes it will save their souls for God. Will Matilda escape? What has happened to Matt? Twenty-five years later, Peter is about to be released from prison. Has he been punished enough? Has he been forgiven? An old woman has been visiting him in prison. She has her own ideas of God's will, faith and justice. Who is stronger? Who is right? Who will win? I really didn't need to go to the library today. In fact, my intentions were to drop off the one book I'd read from my last library loot (Strange Angels by Lili St. Crow) and leave with nothing. What's that I hear? You lot laughing at me? That's fair. If I laugh at you for this, I can only laugh at myself too, as I can't come out of the library empty handed! Florence and Giles is going on my list! I still haven't read the first set of Trudi Canavan books. Must read soon. I haven't read either of those Nicola Morgan books but I have read Wasted, which I thought was outstanding and brilliant! Florences and Giles is on my tbr list too. It sounds great. Enjoy! I have heard that get-nothing plan many times. It's harder than it sounds.